A shadow is spreading across the land. Fear will be your downfall. When the Prefects of Redmondis discover that their quick minds and quicker fingers hide secret potential, young thieves Wilt and Higgs find themselves unwilling recruits. Wilt’s ability to sink into others’ thoughts, knowing what action they will take before they do, is both a prized and dangerous gift. The Nine Sisters of Redmondis have sensed a growing threat, and search for the one who can control the power of the blood within the stone. But even their sinister plots are nothing compared to the force that controls them. As Wilt and Higgs rally their newfound weapons, they discover that the threat to their lives, and their reality, is much greater than they realise. 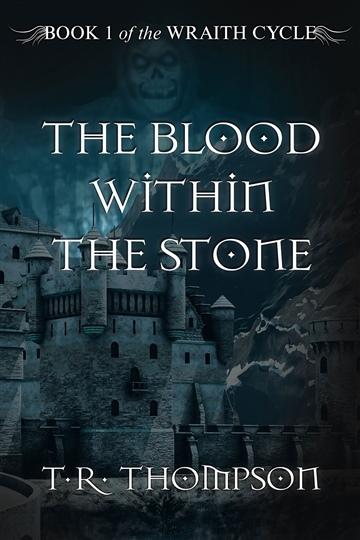 The Blood Within The Stone is his first novel.